On 16th November 2018 Brian Eno is reissuing 4 seminal albums, ‘Discreet Music, ‘Music For Films, ‘Music For Airports’ and ‘On Land’. These deluxe, limited edition, 2LP heavyweight vinyl have been remastered for 45rpm, in gatefold sleeve with Obi spine strip, Abbey Road Certificate of authenticity and a download voucher. Standard 1 LP vinyl, remastered at normal speed for 33 RPM also available. Although originally released interspersed with other albums and thus not fully sequential, these landmark records chart 4 key points in a fascinating journey that saw Eno explore generative music, found-sound ‘non instruments’, studio experimentation, ‘figurative music’ and – most notably – building upon Erik Satie’s concept of ‘furniture music’, eventually coining the now vernacular-standard term ‘ambient’. This set of deluxe reissues marks not only 4 further highlights in Eno’s esteemed catalogue, but also bar-setting, cannon-defining benchmarks, that are still at the pinnacle of the genre, to this day. The inspiration for this album began when Eno was hospitalised after an accident. Whilst bed-ridden and listening to a record of eighteenth-century harp music, the volume was too low and he couldn’t reach to turn it up. It was raining outside, and Eno recounts he began listening to the rain and to "these odd notes of the harp, that were just loud enough to be heard above the rain". 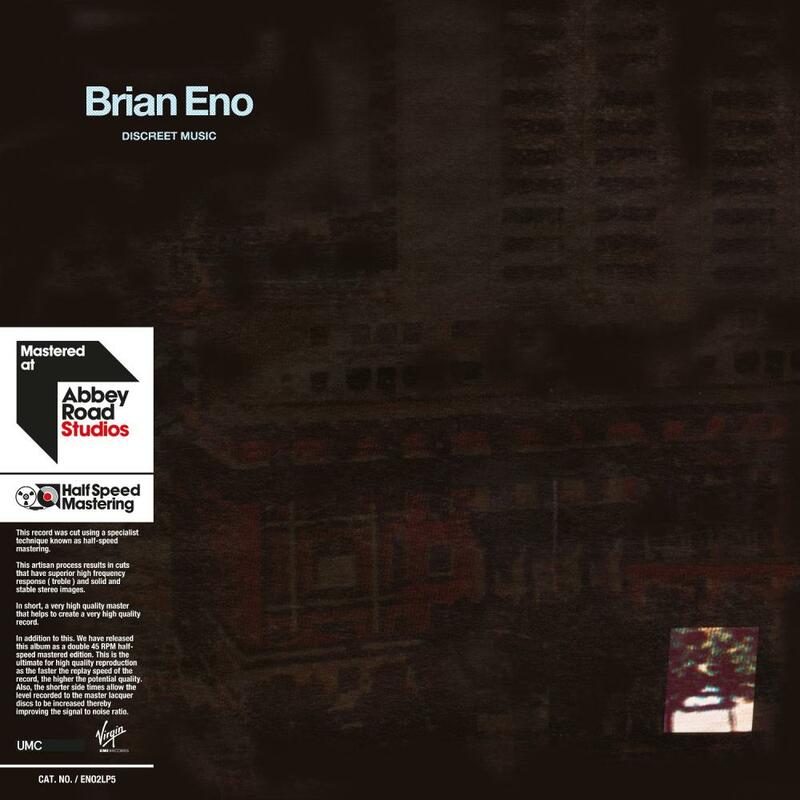 The A-side of the album is a thirty-minute piece titled ‘Discreet Music’, which Pitchfork called “one of the greatest single ambient pieces that Eno has produced”. It was made using two overlapped tape loops of melodic synthesizer phrases of different lengths. This technique became known as ‘Frippertronics’; one of Eno’s early forays into algorithmic, generative composition – exploring multiple ways to create music with limited planning or intervention. The second half of the album, titled ‘Three Variations on the Canon in D Major by Johann Pachelbel’ features the Cockpit Ensemble, playing brief excerpts from the score, which were repeated several times, with the tempo and other elements gradually altered – the end result of which “forced the listener to switch fundamental modes of hearing”, Pitchfork proclaimed. “Arguably the most quietly influential of all his works” according to the BBC, this conceptual record was intended as a soundtrack for imaginary films, with excerpts later featuring in movies by directors including John Woo and Derek Jarman. The album is a loose compilation of material, composed of short tracks ranging from one-and-a-half minutes to just over four, making it the antithesis of the long, ambient pieces he later became known for. The compositional styles and equipment used also carried over onto Eno's work David Bowie's 1977 classic ‘Low’. 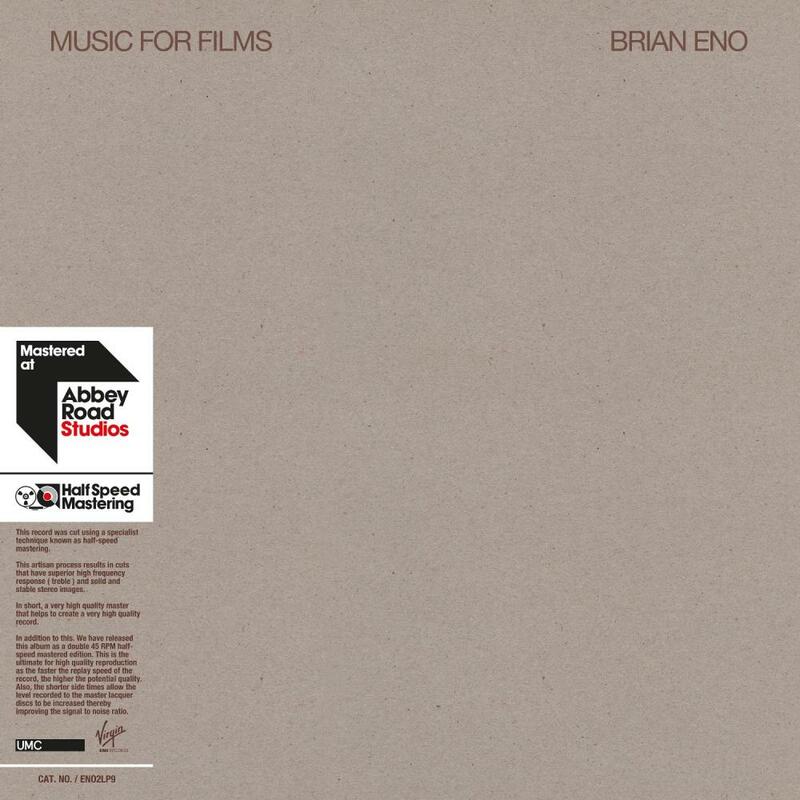 Unlike Eno's later ambient works, ‘Music for Films’ utilises a broader sonic palette, with his studio exercises being supplemented by instrumentation from Rhett Davies, John Cale, Phil Collins, Robert Fripp, Fred Frith, Percy Jones, Bill MacCormick, Dave Mattacks, Paul Rudolph and Rod Melvin. 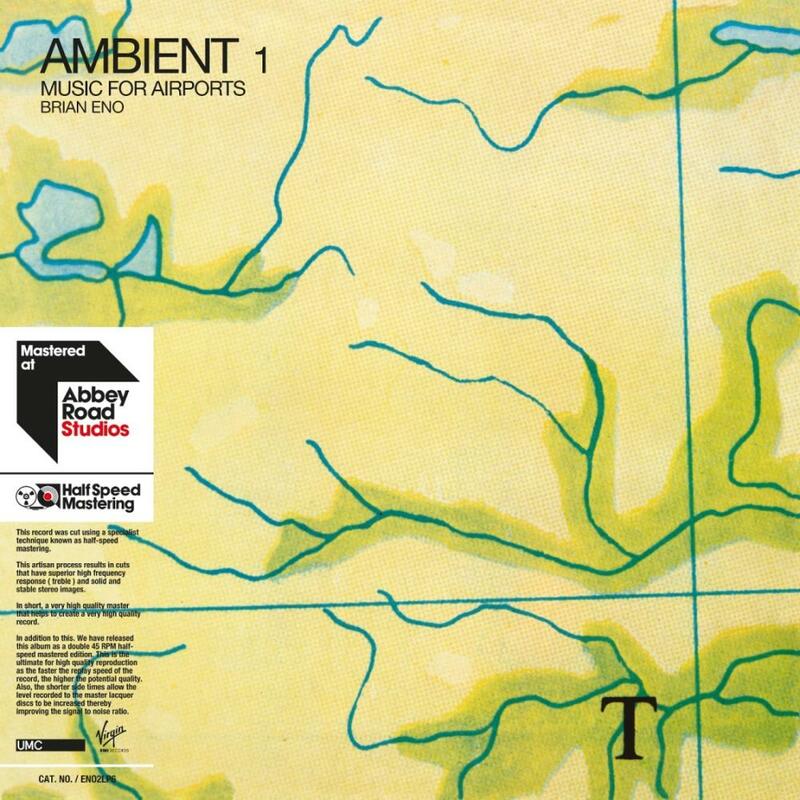 Though not the earliest entry in the genre (which Eno makes no claim to have invented), ‘Ambient 1 (Music For Airports)’ was the first album ever to be explicitly labelled ‘ambient music’. Eno had previously created similarly quiet, unobtrusive music on albums ‘Evening Star’, ‘Discreet Music’, and Harold Budd's ‘The Pavilion of Dreams’ (which he produced), but this was the first album to give it precedence as a cohesive concept. He gave his explanation of and aspirations for ambient music in this short 1978 essay. Eno conceived the idea for ‘Music For Airports’ while spending several hours waiting at Cologne Bonn Airport, becoming annoyed by the uninspired sound and the atmosphere it created. The recording was designed to be continuously looped as a sound installation, with the intent of defusing the tense, anxious atmosphere of an airport terminal, by avoiding the derivative and familiar elements of typical ‘canned music’. The album features contributions from Robert Wyatt and Rhett Davies. ‘Ambient 1 (Music For Airports)’ was followed by Harold Budd and Brian Eno’s ‘Ambient 2 (The Plateaux of Mirror)’ and ‘Ambient 3 (Day Of Radiance)’ by Laraaji, which was also produced by Eno. 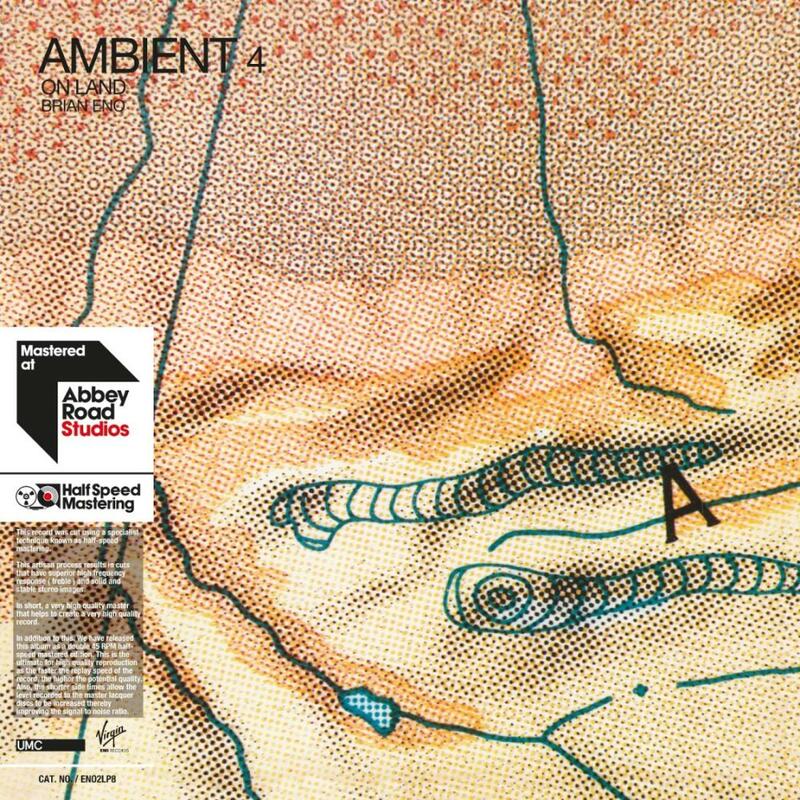 On ‘Ambient 4 (On Land)’ – the final edition in Eno's ambient series – his palate shifted from electro-mechanical and acoustic instruments towards “non-instruments” like pieces of chain, sticks and stones. “One of the big freedoms of music had been that it didn't have to relate to anything – nobody listened to a piece of music and said, ‘What's that supposed to be, then?’, the way they would if they were looking at an abstract painting; music was accepted as abstract. I wanted to try and make music which attempted to be figurative, for example by using lots of real noises”, he recalled to Mojo. Conventional instruments do occasionally feature however, including Jon Hassell's trumpet and Bill Laswell’s bass. The album also features contributions from Michael Brook and Daniel Lanois.